There are many things you might want in your next car. Some people look for the greatest designs. Other drivers prefer sharp acceleration and fast speeds. Things like built-in infotainment features can also determine your choice. But one aspect you shouldn’t overlook is safety. Some cars are simply safer to drive. What’s more, insurers often sort cars into different groups based on safety ratings. Buying a vehicle with a high safety rating can save you a lot of money on your insurance. Many factors determine this, such as its value, performance, and built-in security functions. Here are some of the safest cars for cheaper insurance. This practical city car is fantastic for new and experienced drivers alike. Its compact size and easy driving make it easy to navigate your way through packed city streets. You’ll also get excellent driving visibility and efficient engines. The 1.0 BlueDrive gives you up to 65.7mpg. Of course, the hard sell is its safety rating. It’s easy to drive even for beginners and not likely to cause a big fuss on the road. The best models also come with safety features like brake assist and crash sensors. There are also features to prevent theft. All of this adds up to a vehicle that can get you some of the cheapest car insurance quotes. Performance leaves a lot to be desired. You can get 65bhp and reach 0-62mph in about 14.7 seconds. But naturally, you shouldn’t expect high performance in these kinds of vehicles. It’s an efficient city car that can make driving safe and comfortable. 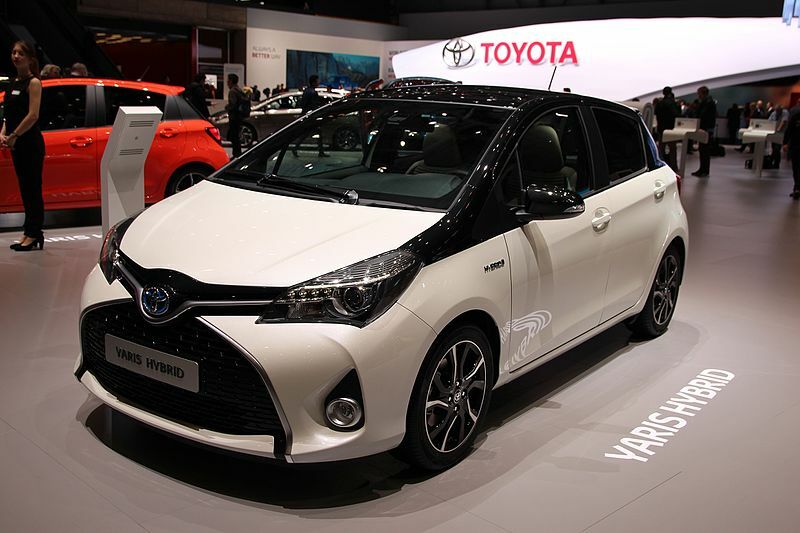 The Toyota Yaris has been one of the most popular superminis for a long time. Many drivers are attracted to this vehicle for its practicality and stylish design. It also helps that it comes with a range of different specifications. You can get both petrol and diesel engines. You can also get super-efficient hybrid models. These can give you up to 85.6mpg with low carbon emissions. It’s also a brilliant auto for safety. Many of the models come with Toyota’s innovative Safety Sense features. The pre-collision system can prevent car accidents by using cameras and lasers to detect other vehicles. It also has road-sign assist, adaptive cruise control, and a screen on your dashboard for useful info. The driving performance isn’t fantastic. But for such a safe and practical car, it’s a minor issue. You’ll also get plenty of passenger and boot space. The Volkswagen Up is perfect for young drivers. It’s easy to use and cheap in many ways. Models can be found for some startlingly low prices. The most efficient engine can get you 68.9mpg, saving you some money on refills. It’s also one of the cheapest cars to insure. The compact size makes it’s slick and equipped for dodging collisions. The 2011 model got a 5-star safety rating from Euro NCAP. The 2016 model is even safer. Features like the innovative emergency braking system can protect you on the road. It’s also stylish both inside and out. It’s an ideal car for young and beginner drivers- even motorists under 25 can get attractive insurance premiums with this. But it can suit any driver looking for a practical car.